Lucid Absinthe wanted to showcase the timelessness of their product, while also trying to attract a younger, more "creative" audience, through the means of a print ad. 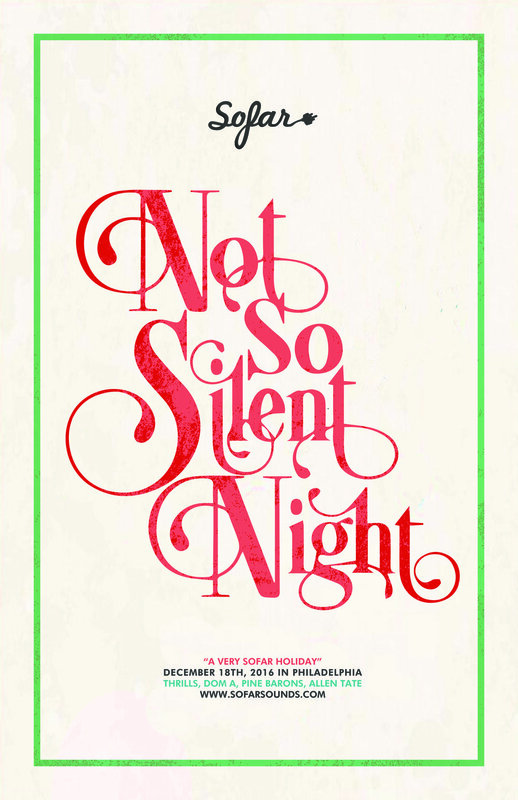 In 2016, Sofar Sounds threw a design competition asking artists to create posters that promoted their holiday-themed show in the Rittenhouse neighborhood of Philadelphia. This poster won and was used to promote the show. Little Trees is the most popular car air-freshener in the world. This campaign illustrates just how potent and refreshing the scent of a Little Tree air-freshener is. Video promoting Streamfest: An experimental music festival from Snapchat. At Streamfest, festival goers can stream various views/angles of the stage through their Snapchat Spectacles. No matter where they are on festival grounds, they will always have a perfect view the stage. 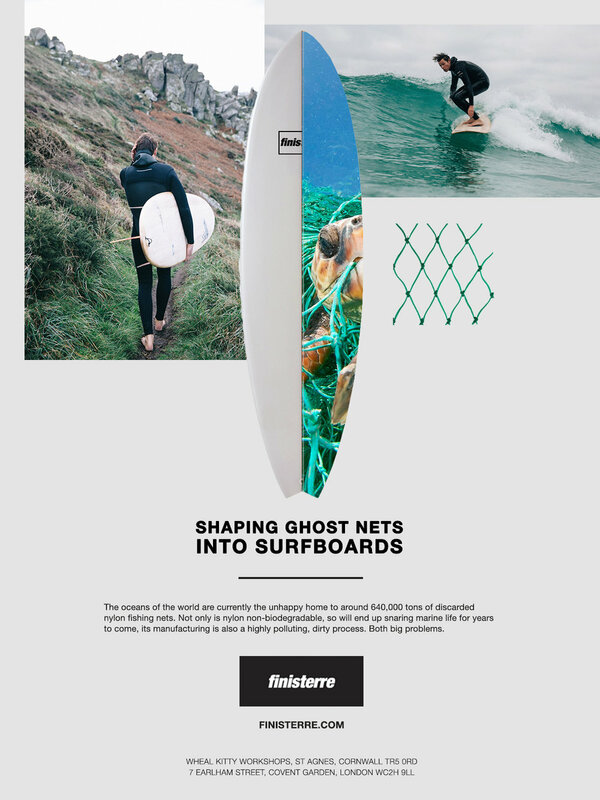 Print ad for Finisterre, an outdoor apparel company that designs functional and sustainable products for those who love the sea. 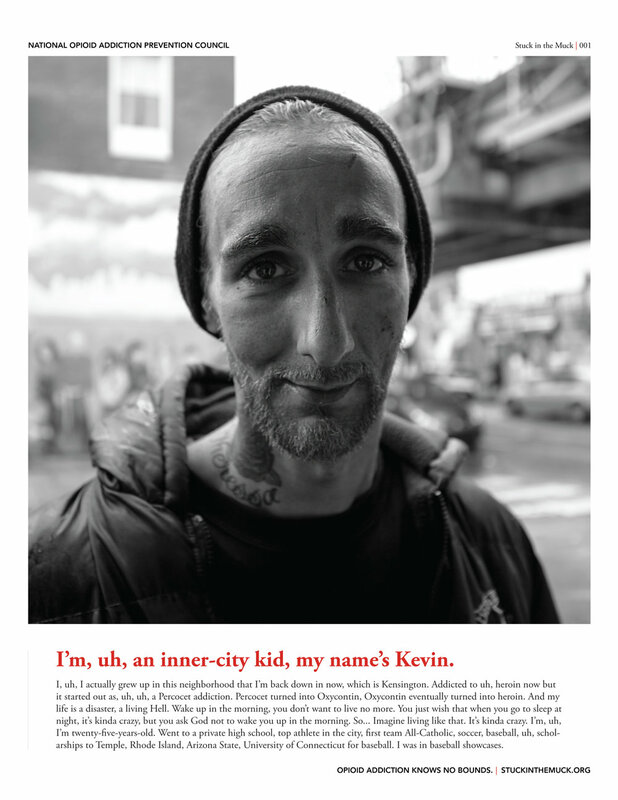 Campaign to educate the public about the dangers of opioid addiction. Print ad spread for the Philadelphia Interactive Marketing Association (PhIMA), promoting an exhibition at the Franklin Institute. Out-of-home ad for Spotify Rhymebooks™, which are collectible replicas of the books rappers write their rhymes in. This ad features Nas, who, in his song "Get Down", raps about the intersection where this ad is placed.